For the first time, engineer Ludovic Lazareth announced his flying bike at the end of last year, and then it was not completely clear if he was going to create a working vehicle or the project would remain on "paper". But a new video puts everything in its place: it demonstrates how a working prototype takes off and reaches a stable height. It’s too early to talk about real success, but the Moto Volante has already achieved impressive results. 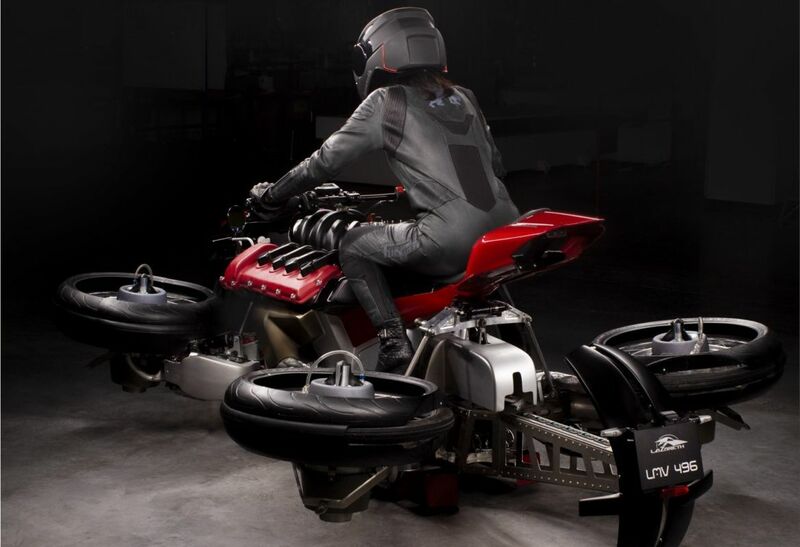 This French auto/motorcycle manufacturer has a lot of experience in creating unusual vehicles, but the Moto Volante flying motorcycle is its most ambitious project. A JetCat jet turbine is installed in the center of each wheel. After their rotation to a horizontal position, the turbine nozzles are directed downwards, and the bike turns into a well-balanced vehicle, made according to the quadcopter scheme without propellers, but with a very large reactive power. Two extra jets can be added near the middle of the chassis to handle more weight. According to the developer, it will be possible to use the motorcycle for a drive on a regular road, and if necessary to take-off you will need to move down to a suitable launching pad. Pressing the fly button takes the vehicle from drive mode to flight mode, and after 60 seconds of warming up the injectors, it is ready to take off. In case something goes wrong, each wheel is equipped with a ballistic parachute. 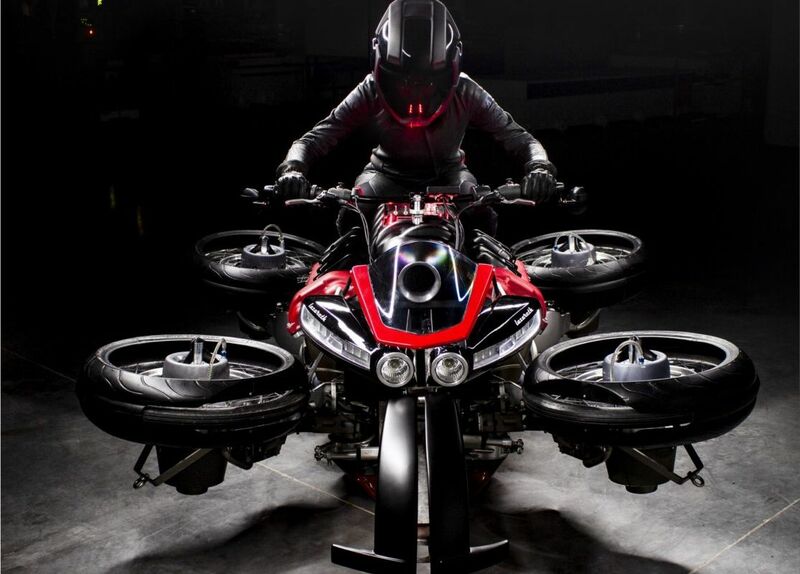 The video shows how Lazareth tested his hoverbike at a height of about 1 m with his daring girlfriend Vanessa at the wheel. The Lazareth team promises to bring Moto Volante to the Gitex exhibition in Dubai in October of this year and open pre-orders there with a price of 496,000 euros per copy. Source: Lazareth Auto Moto. What to do in the event of a motorcycle accident.